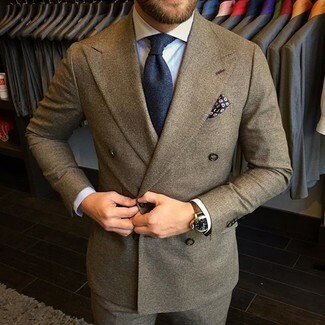 One of our favorite ways to style such a hard-working menswear piece as a Bugatchi light blue dress shirt is to combine it with a brown wool three piece suit. A Bugatchi Trim Fit Solid Dress Shirt and white chinos worn together are the perfect combination for guys who prefer sophisticated styles. 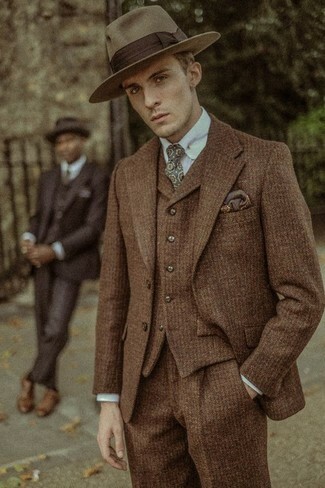 Bump up the classiness of this outfit a bit by finishing with brown suede derby shoes. This refined combination of a Bugatchi Trim Fit Solid Dress Shirt from Nordstrom and a black vertical striped suit is truly a statement-maker. This refined pairing of a Bugatchi light blue dress shirt and a brown wool suit is a common choice among the sartorially superior chaps. Prove that no-one does smart casual menswear quite like you do in a Bugatchi Trim Fit Solid Dress Shirt and grey chinos. Give a playful vibe to this outfit by rocking dark brown suede desert boots. Combining a Bugatchi light blue dress shirt and navy chinos is a fail-safe way to inject your wardrobe with some masculine refinement. A Bugatchi Trim Fit Solid Dress Shirt from Nordstrom and navy and green plaid chinos are absolute must-haves if you're picking out a smart closet that matches up to the highest sartorial standards. And if you need to effortlesslly up the ante of this getup with one single piece, complement this outfit with black leather brogues. 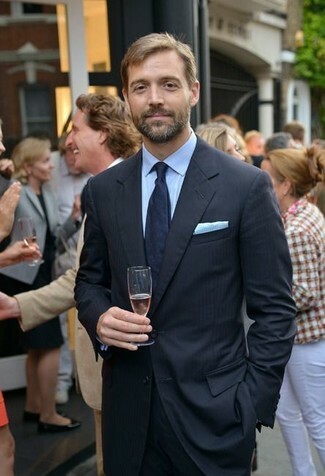 As you can see here, looking effortlessly smart doesn't take that much work. 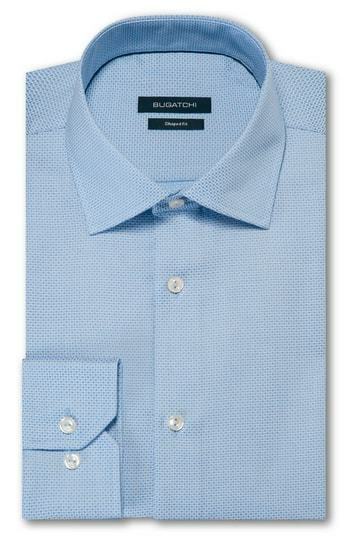 Just team a Bugatchi light blue dress shirt with light blue jeans and be sure you'll look incredibly stylish. 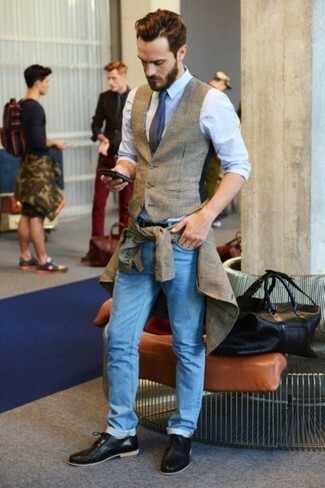 If you feel like dressing up, complement this ensemble with black woven leather derby shoes. This laid-back pairing of a Bugatchi Trim Fit Solid Dress Shirt from Nordstrom and navy skinny jeans is capable of taking on different forms depending on how you style it.